It wasn’t the most inappropriate fashion statement in franchise history. That distinction still belongs to Dolphins center Mike Pouncey for wearing a “Free Hernandez” cap in support of a psychopathic murderer. But if the logo Cameron championed were actually true, Joe Philbin wouldn’t be out as head coach. Players wouldn’t be fighting among themselves or openly rebelling against the coaching staff. And the Dolphins wouldn’t be sitting at 1-3 as yet another season of dysfunction unfolds in South Florida under team owner Steve Ross’ watch. Correcting these problems is the challenge now faced by Dan Campbell, who was curiously named Miami’s interim head coach Monday following Philbin’s firing. Campbell, 39, was the tight ends coach after having played the position as a reserve for three different teams in 10 seasons. He was a Dolphins coaching intern five years ago. He has never served as a coordinator. What he lacks in experience Campbell is trying to compensate for with enthusiasm. In the first practice he conducted Wednesday, Campbell had players in full pads. 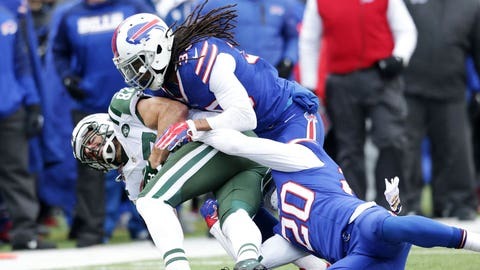 He went back in time by instituting the Oklahoma Drill – a vicious one-on-one blocking exercise between offensive and defensive players that NFL teams had stopped using amid concussion litigation. The intensity was such that a dust-up between wide receiver Jarvis Landry and rookie safety Cedric Thompson flared in the first 15 minutes before it was quickly broken apart. “It was all about being primates again,” he said. For at least one day before players left on their bye week, Campbell’s caveman approach worked. While praising Philbin for being a good man, players made it clear the team had lacked an edge in practice that carried over on game day — where the Dolphins have been outscored, 37-3, in the first quarter. When I asked about the difference in Wednesday’s session, Cameron said, “Every rep basically was competition. It was mano-y-mano going against another guy trying to beat him. That energy of the competition brought a little more juice. However, those aren’t the only things Miami needs to salvage its season. The first thing that must happen is for the locker room to bond together and stop complaining to outsiders about the things going wrong internally. The latest media leak involved an incident last Saturday between quarterback Ryan Tannehill and defensive members of the practice squad prior to a 27-14 loss to the New York Jets in London. Still, the damage to Tannehill’s reputation was done as he waited more than 36 hours to address the report and allow that he should have handled the situation differently. There was a tussle between Landry and now-released running back LaMike James in a team meeting room before the season opener that was reported by FOX Sports NFL Insider Mike Garafolo. Another internal issue then surfaced courtesy of the Miami Herald, which reported that defensive tackle Ndamukong Suh wore sneakers rather than cleats to practice last Thursday to protest the way he is being used in Miami’s scheme. The fact he wasn’t sent off the field by Philbin to change shoes was further proof that Suh’s six-year, $114 million contract has given him more job security than anyone else in Dolphins headquarters — along with a sense of entitlement that privately is rubbing plenty of folks inside the organization the wrong way. All of this drama belies the #strongtogether motto Philbin tried to stress in the wake of the Richie Incognito/Jonathan Martin bullying saga of 2013. Even if he can unify players once again, Campbell faces another giant hurdle overseeing a coaching staff he didn’t hire and knows will probably be fired at season’s end (if they even survive that long). The assistant with the shakiest job security is defensive coordinator Kevin Coyle. Campbell said Wednesday he hadn’t gotten around to deciding whether a change would be made before an Oct. 18 game at Tennessee because he was so busy restructuring the duties of the offensive staff. Not only does Coyle’s unit rank 32nd against the run with only one sack registered, it’s no secret in Dolphins circles that Suh despises playing in his system. It’s hard to blame Suh (and he’s not the only defender behind the scenes who is disgruntled). He became one of the NFL’s most dominant defensive tackles playing a one-gap technique in Detroit. The Dolphins are using Suh primarily as a two-gapper, which means he is responsible for defensing both sides of the offensive lineman. 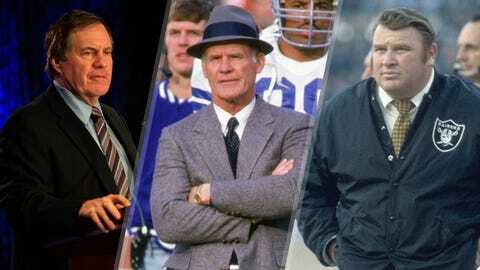 -Who is the best NFL coach of all time? This begs a bigger question: Why would the Dolphins give Suh the largest free-agent contract ever afforded a defensive player only to take him out of his comfort zone and render him largely ineffective? Why would Ross tab Mike Tannenbaum to run football operations last January yet force him to inherit a head coach (Philbin) and general manager (Dennis Hickey) he didn’t hire? Why did Ross give Philbin a contract extension last December as Miami was headed toward its third straight season without a playoff appearance under his watch? Why didn’t the front office adequately address the offensive line when the weaknesses at guard were glaring? Why haven’t the coaches found a way to effectively use new receiver talent — Greg Jennings, Kenny Stills and 2015 first-round pick DeVante Parker — provided by the personnel department? And here’s the most important inquiry for the immediate future – how far away is this team from being fixed? If they can’t, Campbell and plenty of others will be gone from Miami when the 2015 season ends.